A lot of moms put their own health and well-being on the back burner in order to give their full attention to their families. Poor eating habits and a lack of exercise can lead to sluggishness, bloat and a lazy metabolism. Are you ready to start fresh with a cleanse? I have a neighbor, Andrea Wensley, who is a culinary genius, super healthy and has an amazing garden full of organic produce. Yeah, she'd be annoying if she wasn't also inspiring and an awesome mom. Recently, I've been following her experience with a cleanse, which she does regularly, and I've been both curious and motivated to try it out myself. Plenty of moms are sluggish, bloated and irritable but don't do anything about it. Sometimes it's hard to trace the root of a particular physical ailment, but food is often the culprit. That's where the cleanse comes in. "I started cleansing because I had been suffering from pain, fatigue and hormonal issues for many years and was finally told by a naturopath to eliminate gluten, dairy, soy and peanuts from my diet," she says. "Around that time, I saw the book Clean by Alejandro Junger and decided to start my new way of eating with a cleanse." Andrea follows the Clean Program for her three-week cleanse, which begins with a pre-cleanse elimination diet to help prepare your body for detox. "The cleanse itself consists of a liquid breakfast, a solid lunch and a liquid dinner," says Andrea. "My liquid meals consist of smoothies, juices from the juicer or puréed soups." Dr. Junger has a complete system, which is a bit pricey at $450, but you can ease into the process with just the book (around $17). I've been following Andrea's cleanse through her blog and have even started whipping up some green smoothies for breakfast. You'd be surprised how addicting liquefied kale can be. 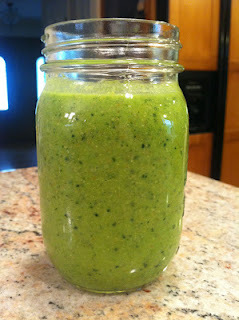 Don't miss her post on awesome smoothie recipes. Toxins in the body can often lead to a host of problems that manifest in a number of ways including fatigue, recurring colds, depression, joint pain, anxiety, constipation, heartburn and/or diarrhea. If you're not sure what to do about these symptoms, a cleanse may help. "I know that my lifestyle choices are affecting me when pain and fatigue become a constant in my life," says Andrea. "Food sensitivities are at an all-time high in this country since the introduction of genetically modified foods, not to mention the diverse range of chemicals that go into non-organically grown and processed foods." 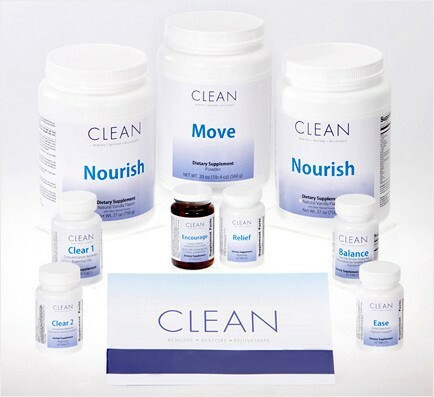 "I recommend anyone new to cleansing to follow a program like Clean," says Andrea. "It also helps to get educated by reading other books and blogs or watching documentaries about our food industry, meditation and other areas of health and wellness. My favorite blog is The Whole Life Nutrition Kitchen. You will find a ton of incredible recipes there." Don't miss the kale chips and the spring green smoothie. Yum. Cleansing doesn't have to be torturous. It can be delicious, productive and rewarding. Disclaimer^ Check with your health care provider before you start any cleanse.